The Weidner Center for the Performing Arts, University of Wisconsin-Green Bay, presents a wide variety of cultural, entertainment, and educational performing arts to the Northeastern Wisconsin community while also serving as a home for local and University performing arts ensembles. 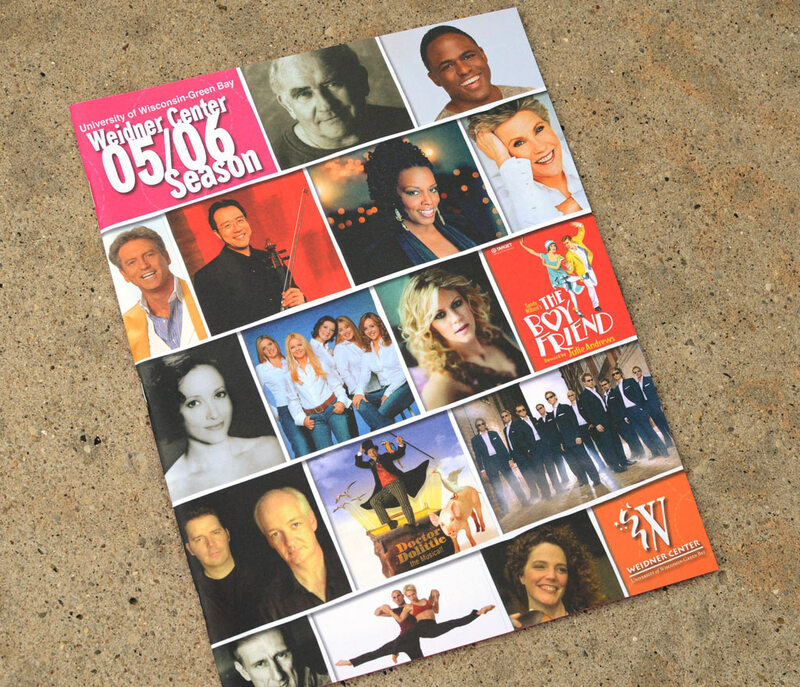 We worked with The Center to develop their season brochure and marketing collateral. 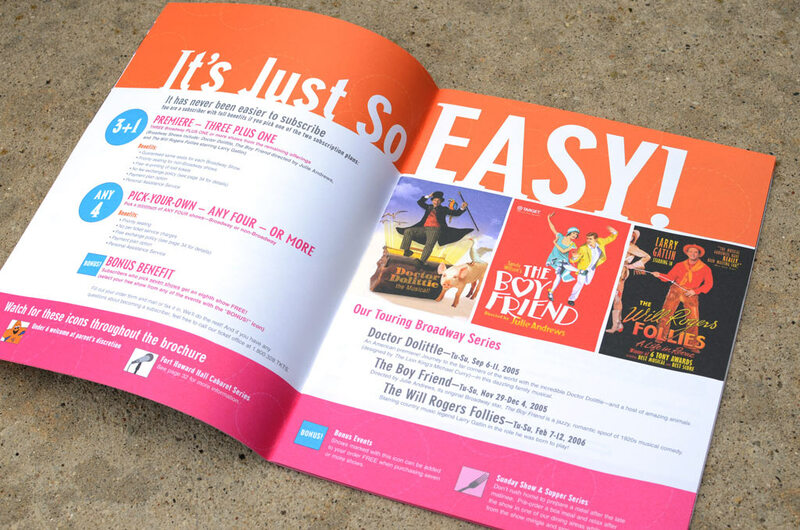 The full-color, 36-page brochure featuring Broadway musical theatre and top-rated entertainment, served as the season’s main promotional piece. Strawberry Fields Design has partnered with the Weidner Center for over a decade to help promote their venue and events. 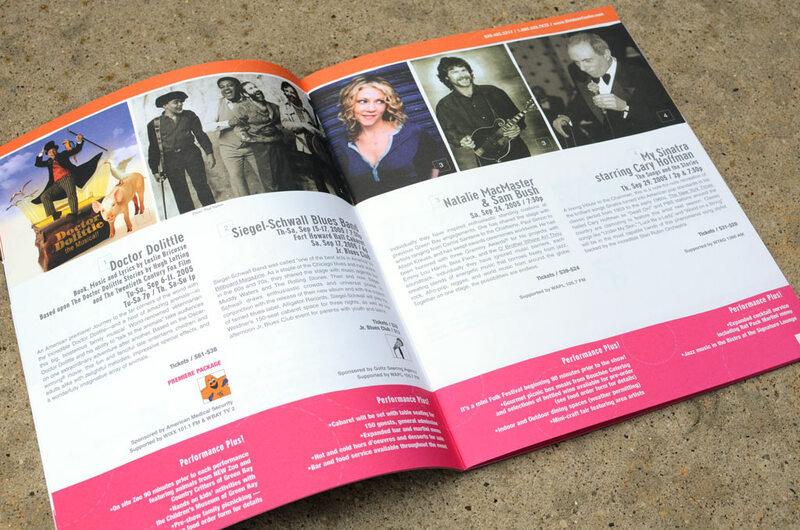 Print Graphic Design Services: Performing arts season brochure design.